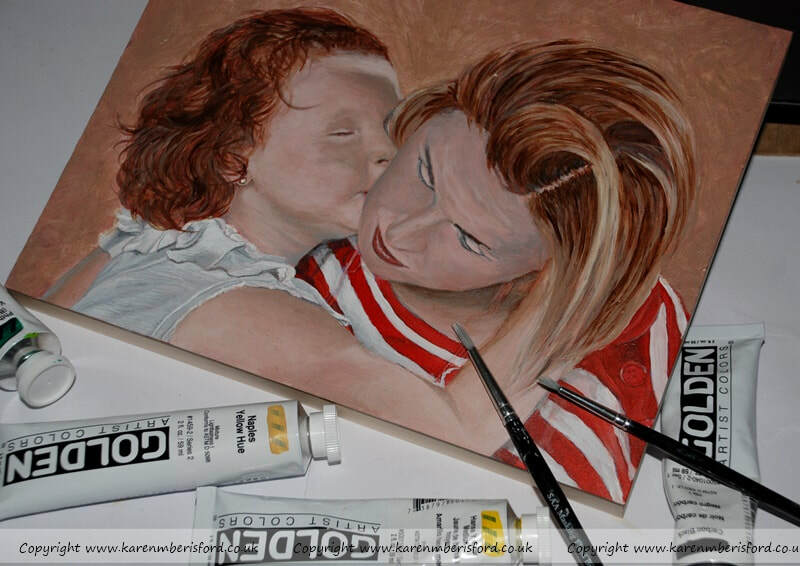 This is my friend and her daughter. I took this photograph of them both in 2009 when they visited the photography studio at the Chesterfield College when I was doing a photography course and although I have drawn this portrait once in Graphite pencils, I knew it was a great composition to paint too. 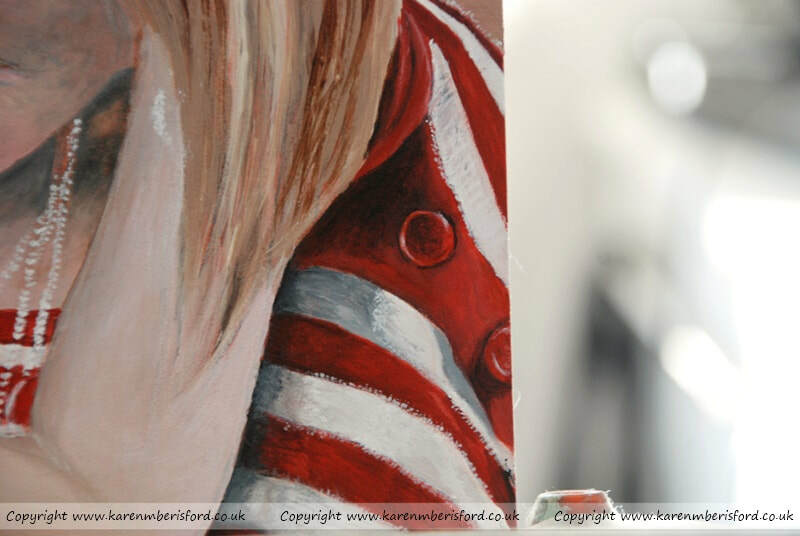 When beginning an Acrylic painting, I firstly lay down a tonal wash which helps colours adhere better. 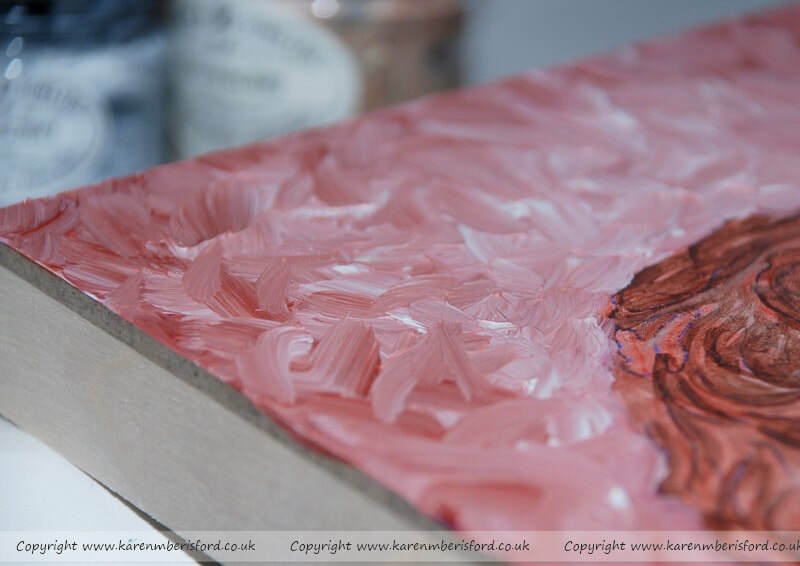 After applying loose layers to both the subjects, I then mix a heavy gel medium in to a paint tone and using a palette knife, begin adding texture to the background. Normally this paint colour tends not to be the final background colour, but is adapted to fit as I continue to apply further details to the subjects. 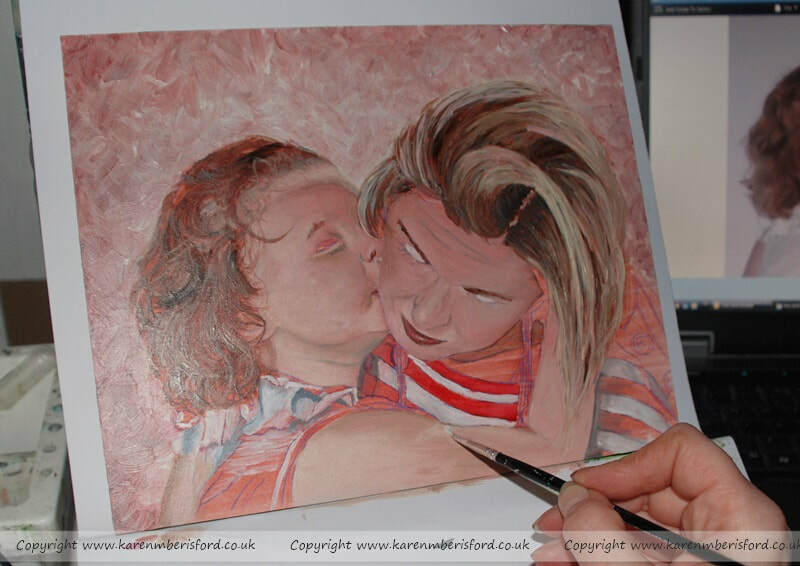 Once both the background and base tones have all been applied, I swap to smaller paintbrushes which allows me to work in the finer details ensuring skin tones are balanced as I go along - I will place a translucent wash over these skin tones to create a softer transition. 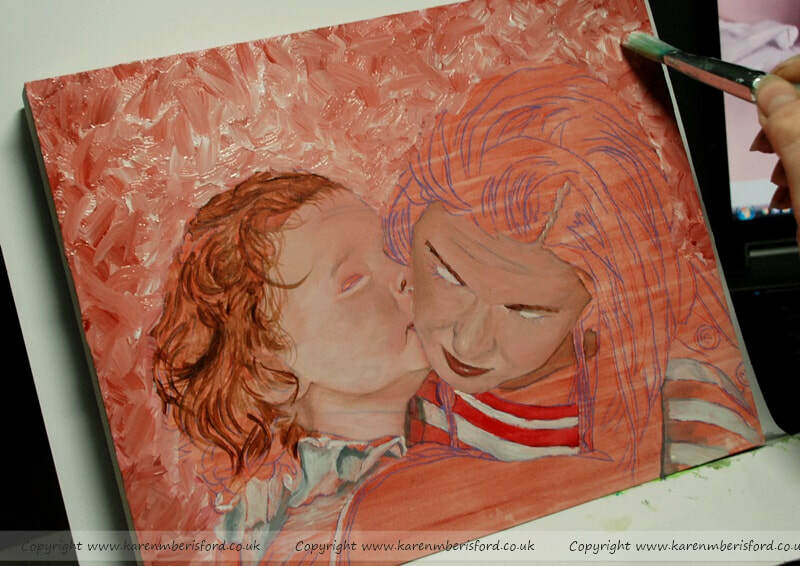 The final layers are created with the thinnest brush I have to add the smallest lines such as fine hair and eyelashes, once the portrait is finished and fully dried, I apply 2 coats of UV satin varnish which gives added protection from sunlight which can cause premature fading. 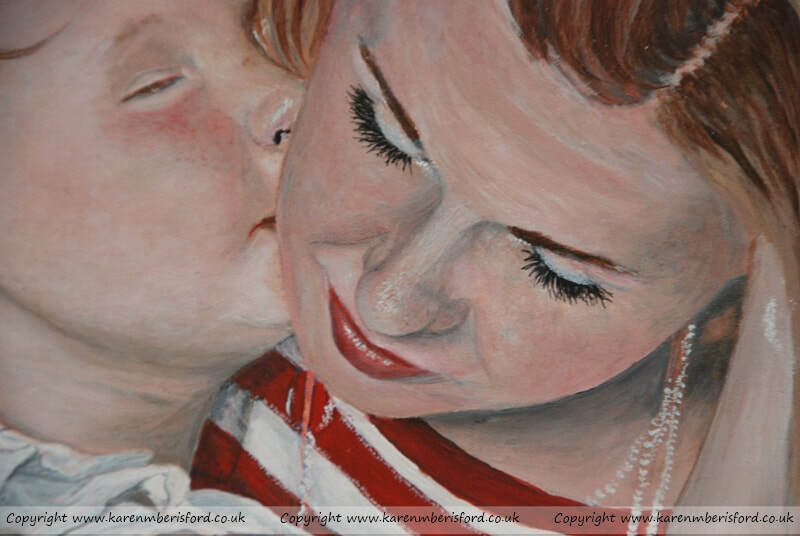 This portrait was created on a 22mm board and can now be hung without the need for a frame.